Extraordinary discoveries are transforming the approach to cancer care – and immunotherapy is one of the most promising avenues of research. 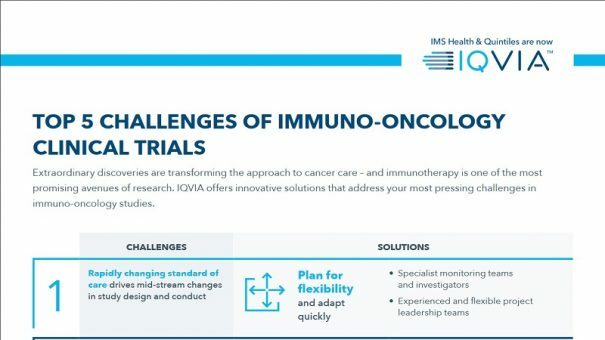 IQVIA identifies the top 5 challenges in executing immune-oncology clinical trials, and innovative solutions to address those needs. To view the top-5 infographic please click here or on the image below. For more focused content relating to the challenges of immuno-oncology trials please click here.